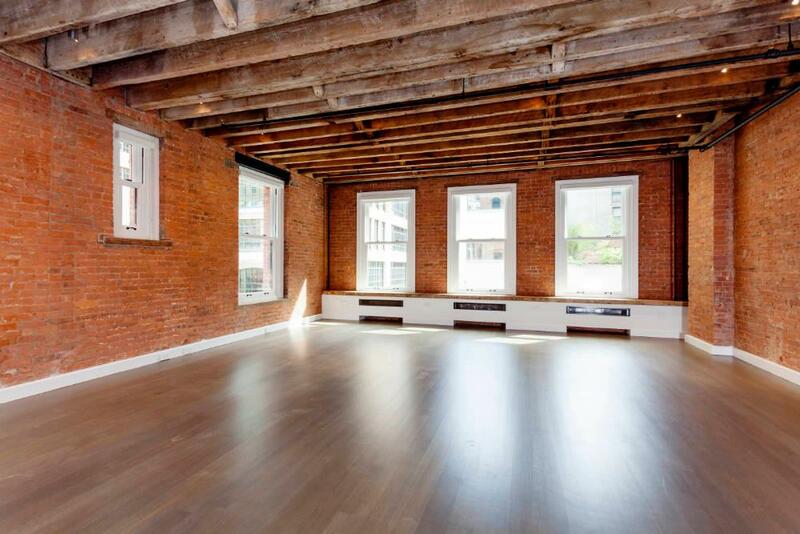 Prewar Tribeca conversion 10 Hubert Street is ready to mingle. Tribeca Citizen first reported in July that the retooled five-story manufacturing building would offer rentals. 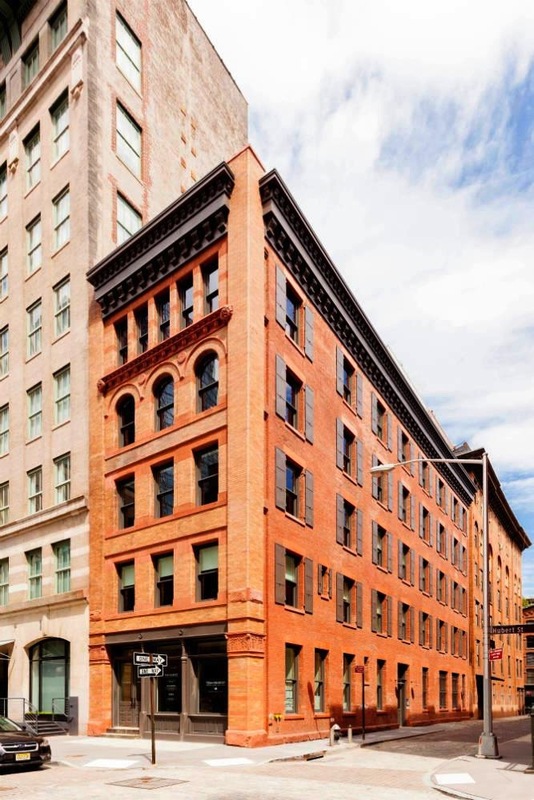 The Romanesque Revival structure dates back to 1892, and its 80-foot-facade on Collister Street has been fully restored, including the original terra cotta moldings, cornices and arched windows. ODA Architecture designed the conversion. 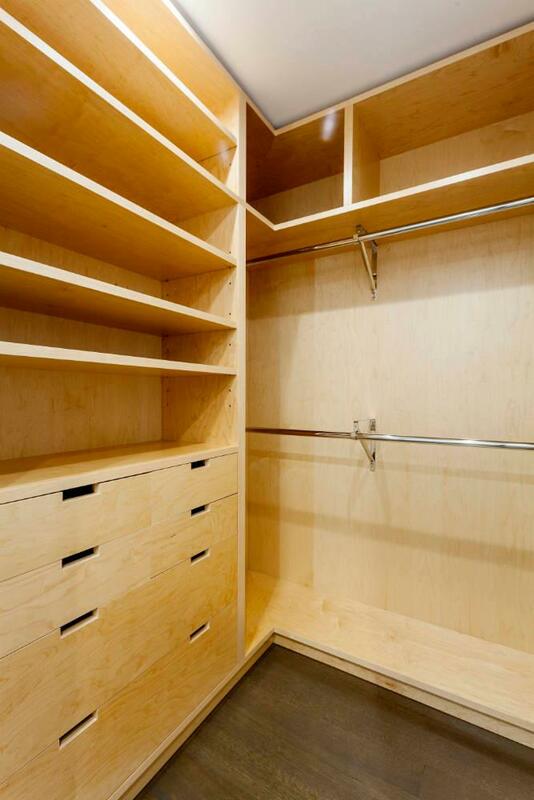 There are four apartments total in the elevator building, which opened leasing last month. Unit 1, a two-bedroom, has already been rented. 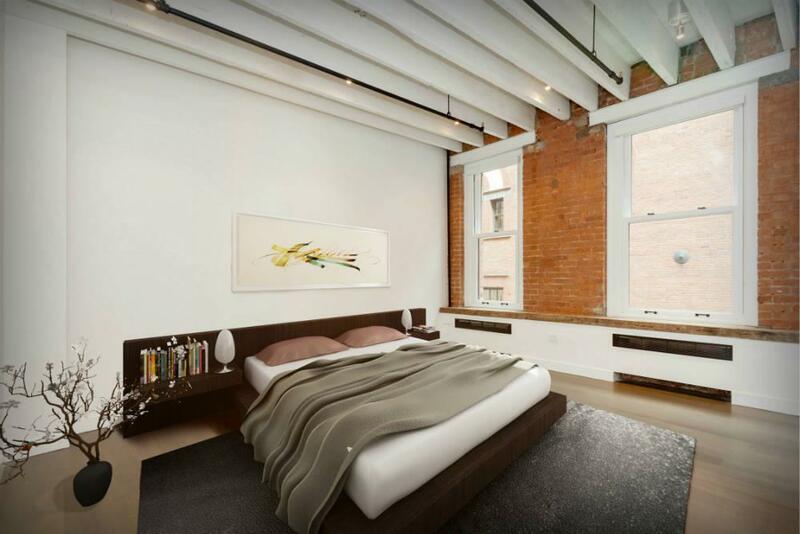 The only apartment on the market is Unit 2, a three-bedroom, 3.5-bath asking $16,250 per month. 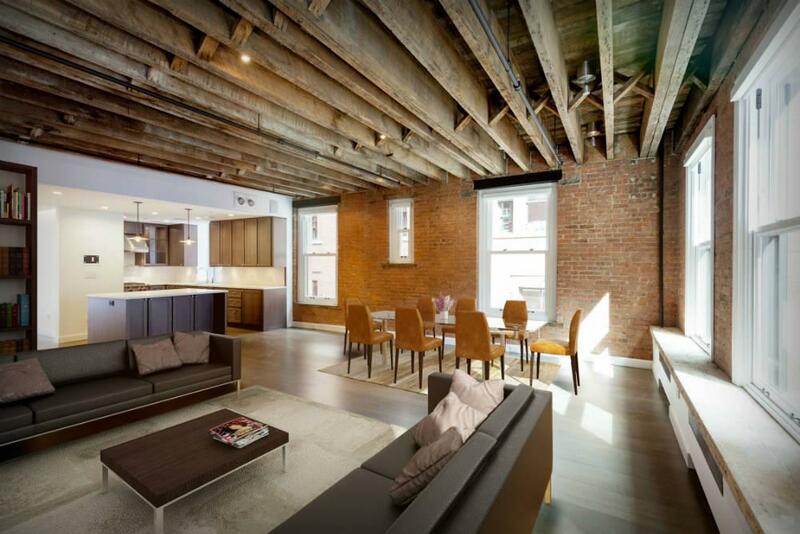 The residence’s loft-style interiors have direct key-locked elevator entry, open-plan living room with exposed brick walls, restored wood-beam ceiling, 6″ oak floors and in-unit washer/dryer. 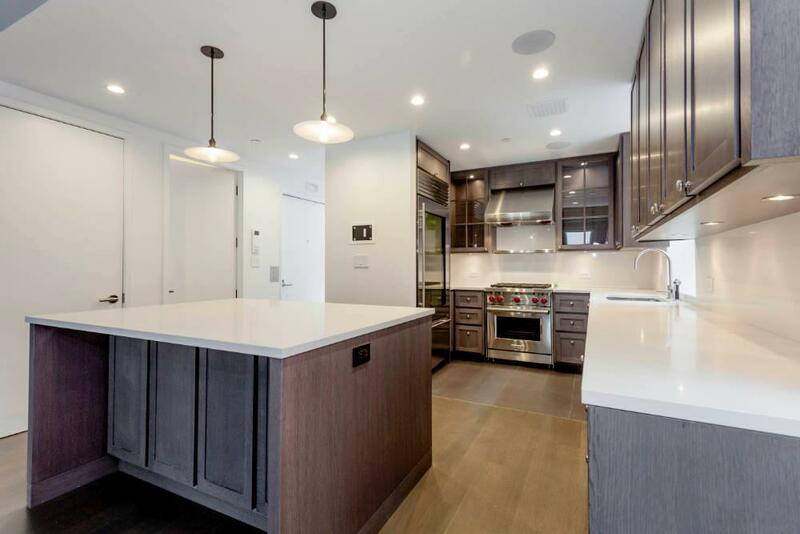 The open kitchen features stainless steel appliances, including a wine fridge, and bathrooms are lined in white marble, subway tile and heated floors. 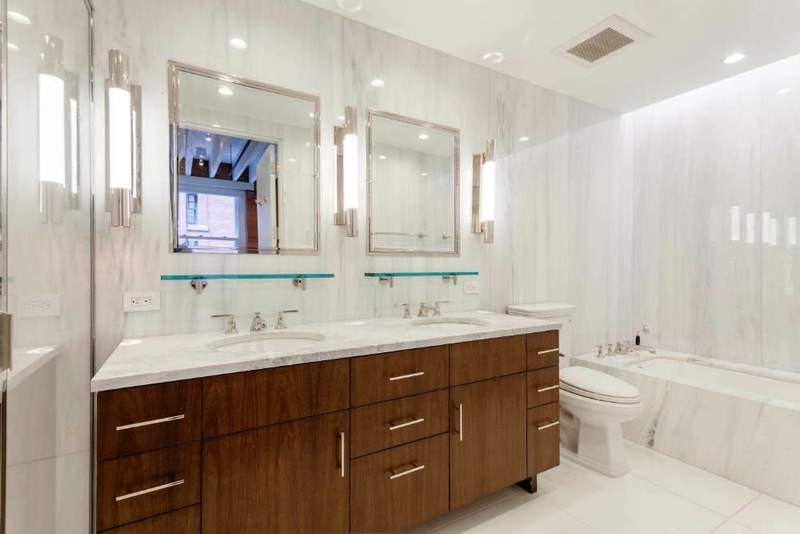 The master bath comes with double vanities, large soaking tub and separate glass-walled rain shower, while the master suite has a walk-in closet. Town Residential is handling leasing at the property. 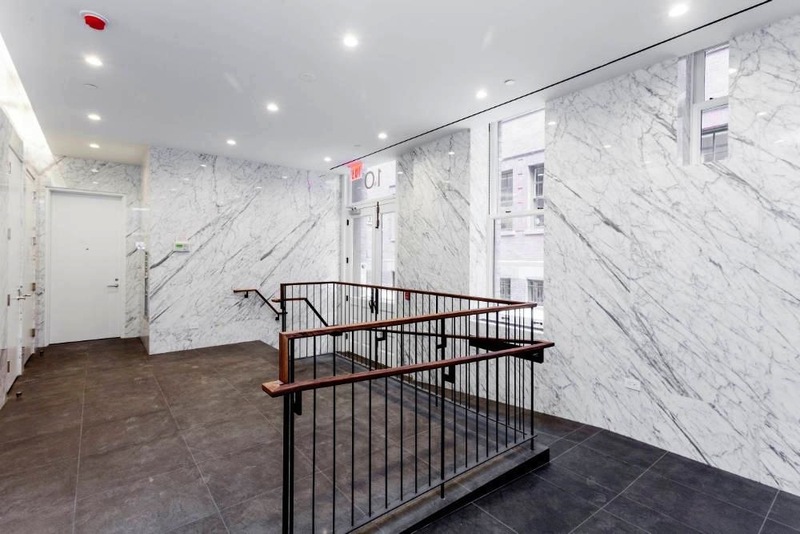 The entirely new lobby is wrapped up in marble.